Well-Maintained 2-Level Brick Townhome w/NEW Roof! - This stunning 2-story brick townhome features new wood-look luxury flooring, a fantastic kitchen, newer roof, windows and water heater. Sliders open to private, fully fenced patio. 3 generous bedrooms, 1 full and 1 half bathrooms. Reserved parking. Located conveniently in Middlebrook Commons, a neighborhood that features several tot lots, walking trails and green spaces. Convenient to I-270/355 and walkable to elementary school, public transportation, shops and dining. Must see! Gorgeous Rambler in sought-after Silver Rock! - Large alcove in finished basement for 4th bed area, next to full bathroom. Quiet and shaded neighborhood, with sidewalks and easy access to parks. 1 block from Rockville Civic Center Park, F Scott Fitzgerald Theatre, and the highly -rated Croydon Creek Nature Center. Extensive renovations to home's interior include the kitchen, hardwood floors, ground floor full bathroom, ground floor windows, and full bathroom in finished basement. Very large fenced back yard with lighted outdoor deck, and utility shed on concrete pad. 5-minute drive to either Twinbrook or Rockville Metro stations, Norbeck Shopping Center, Rockville Town Square, and Twinbrook Shopping Center. 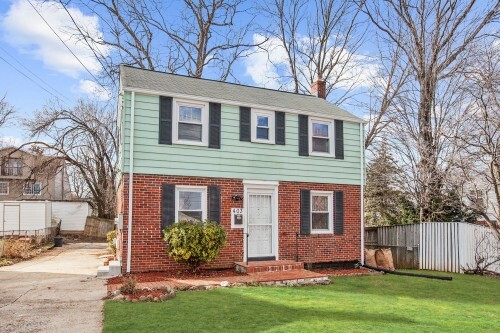 Renovated Colonial in Long Branch Village - This renovated 3 bedroom, 2 bath home is full of light and perfectly situated near Shopping, Schools, Metro and major bus routes. Enjoy a brand new kitchen featuring granite counters, stainless appliances and shaker cabinets. Hang out in the sun-filled basement rec room or relax in the generous backyard. Stunning End-Unit Brick Garage Townhome! - Stunning Garage Townhome in Convenient Stonington Woods! 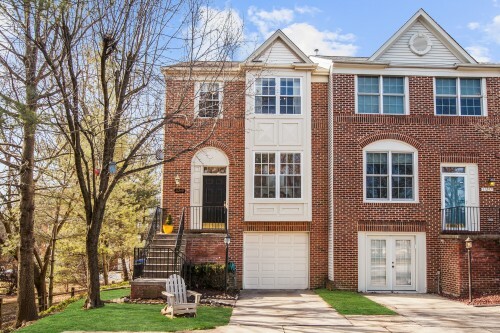 $445,000 This light-filled 1-car garage townhome in rarely-available Stonington Woods features dazzling hardwood floors, upgraded granite kitchen with oversize custom cabinets and breakfast room. 1st powder room is located conveniently as you enter the home. Kitchen opens to a deck with a private treed view making this layout perfect for entertaining. Lower level rec room features a remote-controlled gas fireplace, a second half bath, plus a full-size window and walkout slider opening to a nicely upgraded patio. The backyard is also steps away from the community tot lot. With windows on three sides and bump-outs everywhere, this sun-drenched townhome feels like a single family. This well-maintained home has a fire sprinkler system for added fire safety. Very convenient to Ride-on and places of worship. An entrance to the 10 mile Sligo Creek Asphalt Trail is steps away, along with the Kemp Mill Urban Park and Playground. BONUS: The Parkland Pool is right next door offering lessons and tons of fun summer activities! Stunning End-Unit Brick Garage Townhome! - This spacious and impeccably maintained end-unit townhome is full of light and simply stunning.